My imaginative and energetic 6 year old daughter recently received her very first Tiny Art Box in the mail. As it so happened, she was the one to retrieve the mail that day and with excitement found a medium sized package with her name on it. It was as if it was her birthday and someone just given her a gift-wrapped present! With curiosity she tore through the packaging to uncover a box filled with kid’s arts and crafts supplies. 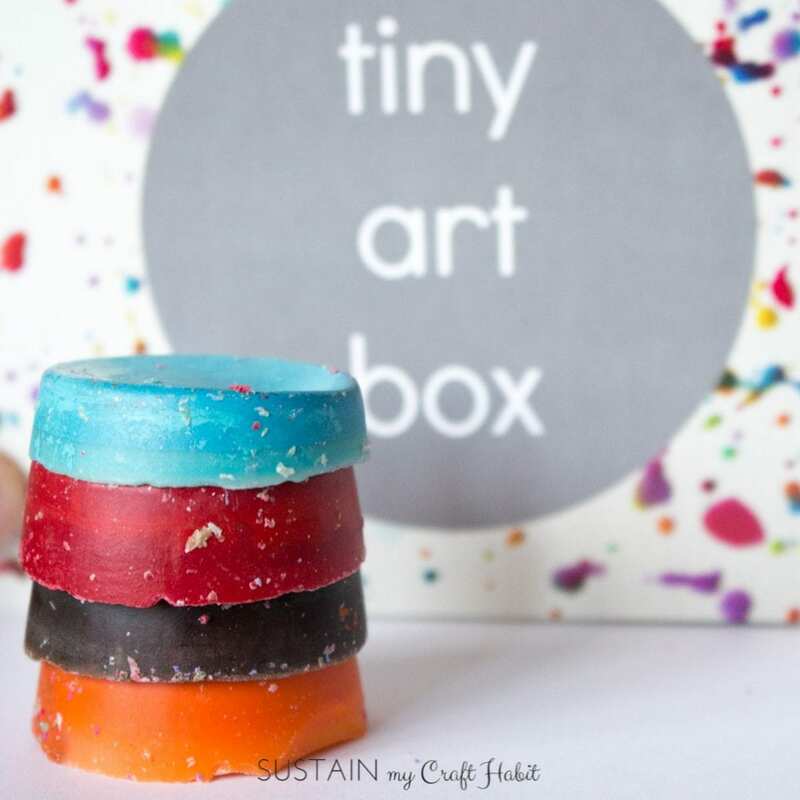 The Tiny Art Box was created by Wendy at Tiny Brushstrokes to inspire a creative art experience in children between the ages of 2-6 years. 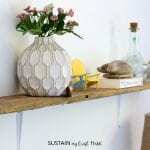 A different box is created each month and designed around a certain theme. 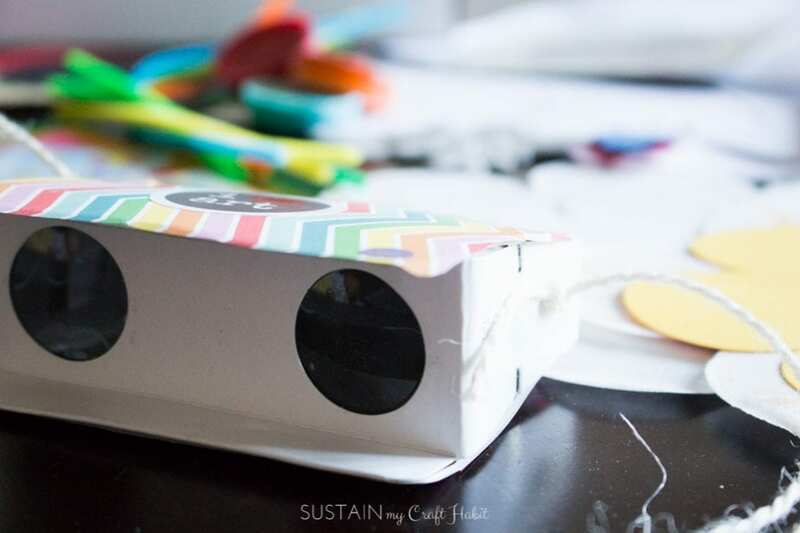 The box aims to encourage a love of playing and learning with the help of colourful, open-ended art and craft supplies. We loved the concept of engaging and encouraging children to create and use their imaginations! 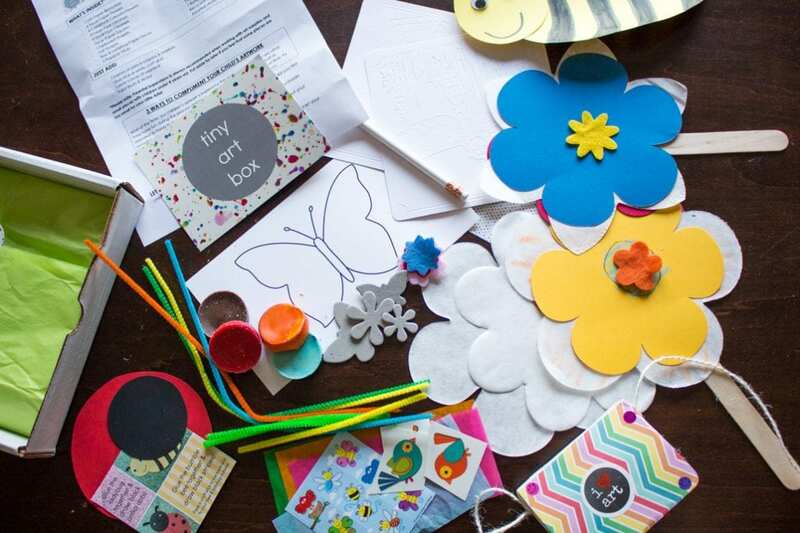 The May 2016 Tiny Art Box which we received was filled with colourful papers, stickers, craft accessories as well as fun activity sheets and a short list of additional materials needed (tape, glue, scissors, etc.). As my daughter rummaged through the Tiny Art Box, she quickly discovered some binoculars, which we immediately assembled and “be-jewelled” with decorative paper and fun stickers. 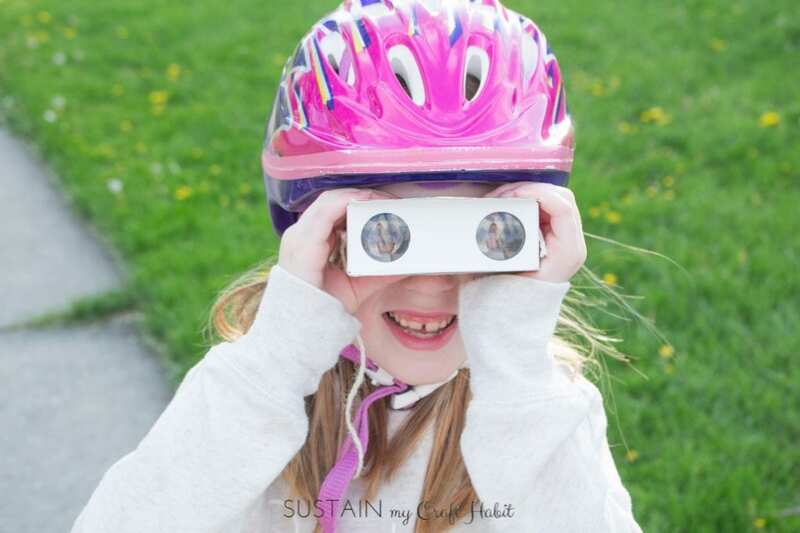 We’ve since used those binoculars for an outdoor scavenger hunt searching for all the nature items suggested on one of the instruction sheets. 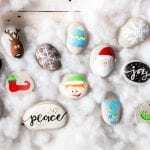 Additionally, we’ve created several paper crafts together ranging from large paper flowers to a paper bumble bee and ladybug to a birthday card. When it was time to put the Tiny Art Box away, she proudly announced “we just finished 4 crafts!”. How awesome is that? More than just a great way to motivate art and creativity for my daughter, I really appreciated the time I spent with her to work on the activities in the box. With all the other things we have going on in a day, it was so nice to just take a moment and get creative with her. 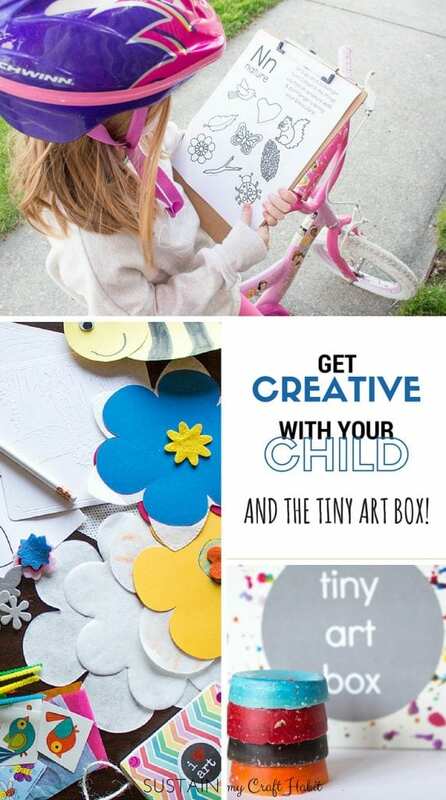 The Tiny Art Box would make such a unique and creative birthday or Christmas gift idea for any child in your life. The boxes are available for purchase individually or as a monthly subscription service. If you’d like to get more information, check out Tiny Art Box on Etsy. 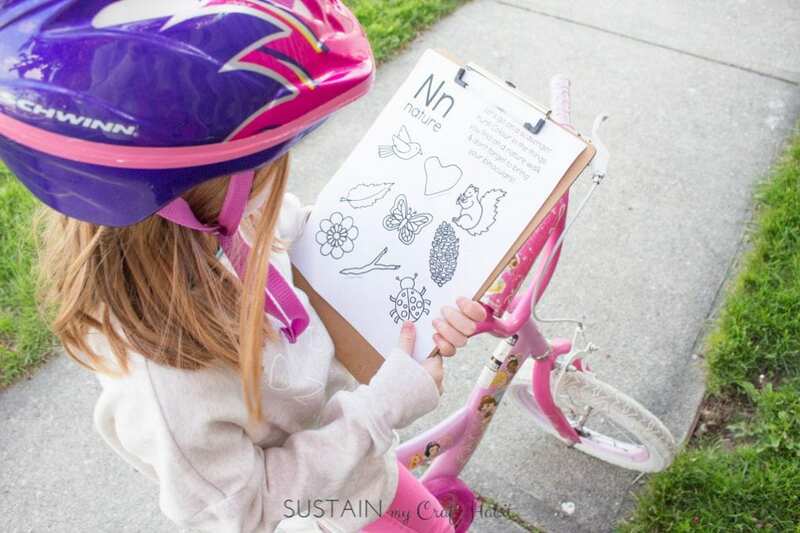 What craft activities do you like to do with your kids? Thank you Wendy for giving us the opportunity to get crafty and creative together.